Sicario fans will be gathering for this one: nearly 80 lots from the second Soldado film are going under the hammer. Sicario, directed by Taylor Sheridan, hit theatres in 2015 and instantly became a success for its dark but honest portrayal of the war on drugs at the border between the US and Mexico. Weaving in familial stories that touched the heart, Sicario was an unforgettable story that reverberated with audiences. 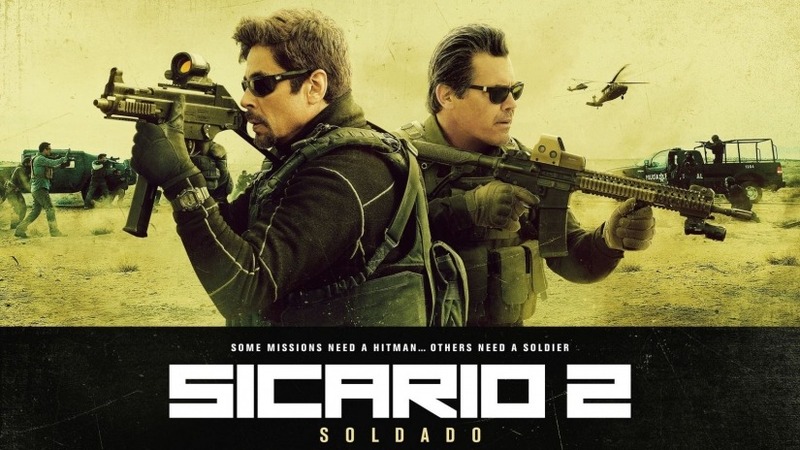 It’s no surprise that the film was followed up by a sequel, also directed by Taylor Sheridan, which came to theatres three years later in 2018, titled Sicario 2: Soldado (soldado meaning soldier in Spanish). This second film also brought back the mercurial Alejandro (Benicio del Toro) and federal agent Matt Graver (Josh Brolin). Now, nearly 80 lots from Sicario 2, comprising props, costumes and other memorabilia, are going under the hammer at Prop Store on April 26. Whether it’s a particular character’s outfit, a Post-it note, a visitor’s badge, a roll of bills, drinking vessels or license plates that you’re after, you’ll be sure to find it within this auction. Alejandro wore this tactical vest when the convoy transporting Isabel was ambushed by police. The outfit comprises a tac vest (including faux walkie talkie), pullover jacket, gloves and jeans. The jacket features some dirt from production and jeans feature some dirt distressing on the bottom near the ankles. Alejandro found this paper Post-it note on his front door when he knew someone was in his apartment. Matt wore this visitor badge when he and Cynthia met with the Secretary of Defense. The plastic and metal badge measures 8.5 x 6 cm. Hector and Miguel hung out at the border and discussed human trafficking while they both smoked cigarettes and drank beer.